Primary source guide on slave trade contains legal documentation, ship manifests, corporate information, and variety of other documents concerning the industry of slavery. List of primary sources and other websites, with several collections relating to early antislavery movements. Documenting the American South (DocSouth) is a digital publishing initiative sponsored by the University Library at the University of North Carolina at Chapel Hill. it Includes sixteen thematic collections of primary sources for the study of southern history, literature, and culture. "This HeinOnline collection brings together, for the first time, all known legal materials on slavery in the United States and the English-speaking world. This includes every statute passed by every colony and state on slavery, every federal statute dealing with slavery, and all reported state and federal cases on slavery. 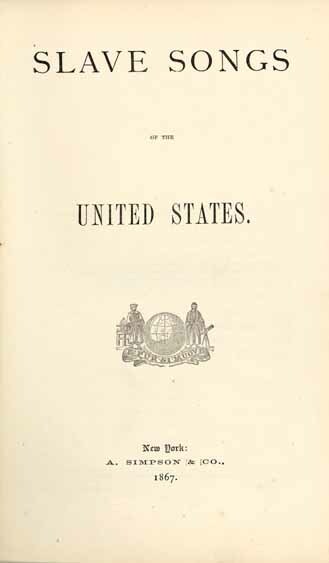 Our cases go into the 20th century, because long after slavery was ended, there were still court cases based on issues emanating from slavery. . . ."
"We have provided more than a thousand pamphlets and books on slavery from the 19th century. We have also included many modern histories of slavery. Within this library is a section containing all modern law review articles on the subject. This library will continue to grow, not only from new scholarship but also from historical material that we continue to locate and add to the collection." Primary source set include documents, photographs, artwork, and maps that tell the story of the slave trade and its impact. List of sites offering primary source materials which "provide all the historic details, as well as a better understanding of how this practice affected (and continues to affect) the social and political fabric of the country." Photographs and excerpts of reports from Library of Congress's collection. More than 2,300 first-person accounts and 500 photos of former slaves collected in the 1930s as part of the Federal Writers' Project (FWP). Primary sources organized by themes, such a living conditions; religion; education, arts, and culture; and men, women, and gender. is part of the Documenting the American South collection. See the Primary Source Sets tab for the entire collection. This webpage contains a complete scan of the book, along with transcribed text, notes, descriptions, and sheet music.